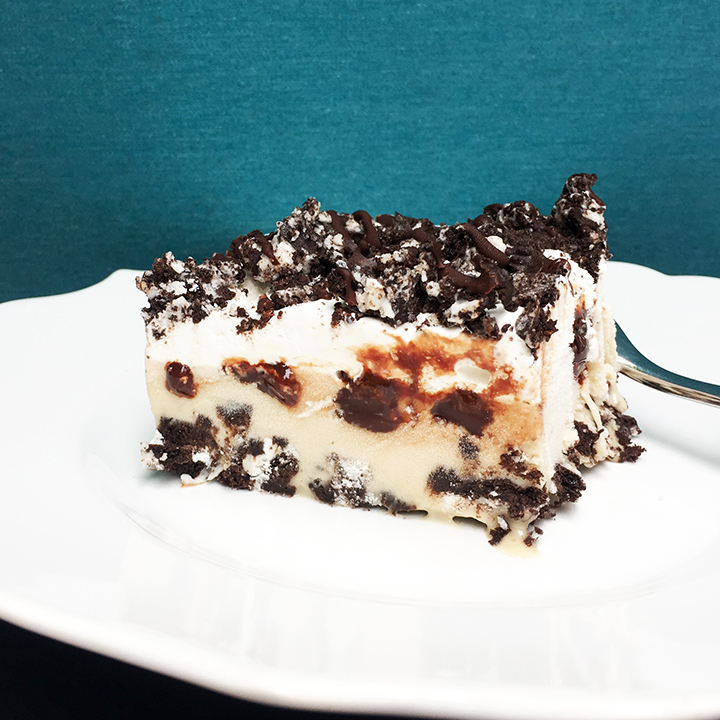 I have fond summertime memories eating my Mom’s Oreo Dirt Dessert as a kid. It was the answer to any summer special occasion and super simple to make. It’s been on my list of many desserts to try to make dairy and gluten free and all I can think is why on earth did I wait so long! The girls were even able to “help” me make it for their Daddy’s birthday so very kid-friendly. The biggest challenge is finding the special ingredients which did require two trips to two different grocery stores. You could also try making it with different cookies besides oreos or in this case fake oreos. 2 packages of Mi-Del Dairy and Gluten free "Oreos"
Place all the cookies in a plastic zip lock and crush with a rolling pin. Use all but 1 cup and loosely press to the bottom of an 8x8 pan. Spread the softened ice cream carefully over the cookie crumble. Squirt the fudge as evenly as you'd like over the ice cream. I was pretty liberal with mine. Place in the freezer for about 10 minutes to harden a bit.